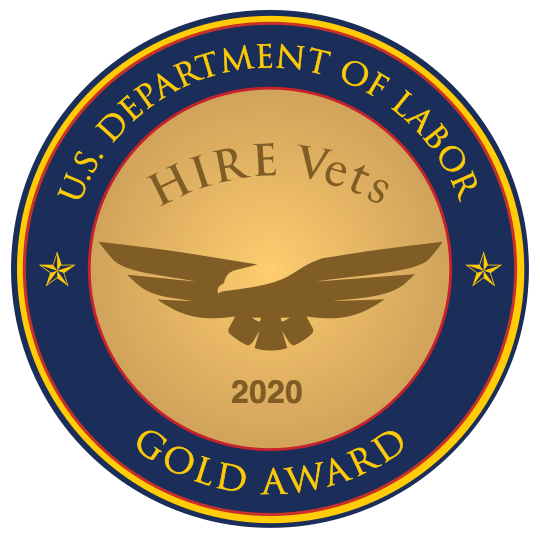 Want to reach a large group of veteran job seekers with zero travel and a quick turnaround time? Participate in a RecruitMilitary Virtual Career Fair. These events deliver a strong level of candidate engagement and premier brand positioning. More of your staff can participate, including subject matter experts and other decision-makers in the recruiting process. Seize this great branding opportunity to deliver a consistent corporate message and establish your organization is military-friendly. In a candidate-driven market, it’s more important than ever to establish your organization’s voice. Picturing themselves as part of your team is an important factor in the veteran job seeker experience. Strategically positioning your culture, core values, expertise, and opportunities through a virtual career fair tells candidates why they should come to work for you. You’ll have the opportunity to load your landing page with branded greetings, company logos, imagery, links to career pages and social media, videos, job postings, and contact information. Additionally, chat room updates can be made instantaneously without the expense of reprinting materials. As you prepare, consider including a veteran employee’s perspective about his or her experience joining your team. Remember, veterans served in tight-knit groups where teamwork prevailed. Finding an organization that replicates key military values is a priority for many veteran job seekers. CareerEco, the technology provider for RecruitMilitary’s virtual events, offers training on how to use all the tools that will be available to you during the virtual career fair. Take advantage of this instruction so your team is prepped and ready to have a fantastic experience. Offered in webinar format, the training shows you how to successfully leverage chats, video interviewing, and presentation screen sharing. Participants receive immediate access to candidates upon creating their virtual booths, so prepping your booth ahead of time lets you reach the right job seekers first. Detailed data filters allow you to search, preview, and connect with desirable veteran job candidates ahead of time through a virtual event messaging center. Organizations have unlimited access to all registered candidates’ information, including exporting electronic resumes to your ATS. A wide variety of data can be captured, sorted, and exported for post-event reference: sorting; candidate spreadsheets that can be exported; chat transcripts; resume books; and chat session attendee reports for applicant tracking and follow up. Companies that have three or more participants enjoy higher levels of engagement with candidates. For example, at RecruitMilitary’s Central Region Virtual Event on September 26, 2017, a national industrial equipment supplier had nine employees participate, and drove nearly 1,500 private conversations with candidates. More than one million veterans are registered job seekers in RecruitMilitary’s extensive candidate database, with more than 370 arriving daily. RecruitMilitary will host more virtual events in 2017 and 2018. They are open to veterans and military spouses. Click here to learn more about virtual career fairs.